The Lion Lake #1 in Rocky Mountain National Park boasts a dramatic alpine landscape hidden away in the northwestern corner of the Wild Basin. 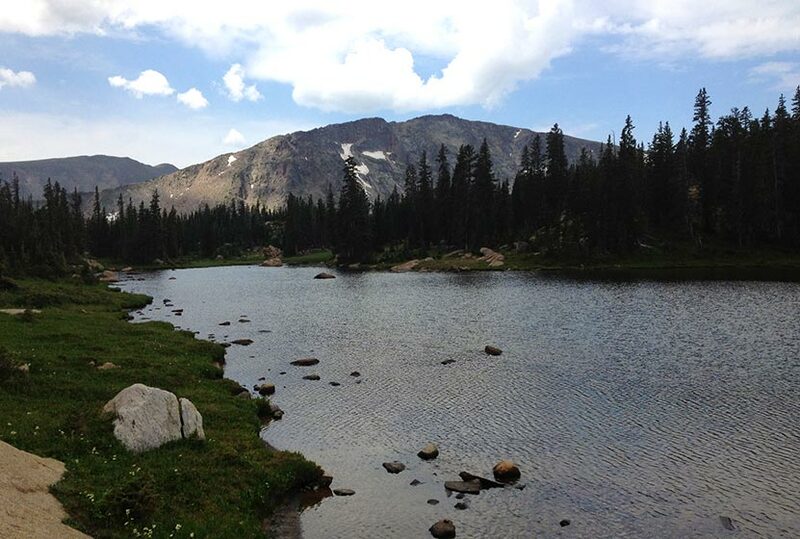 The trail to this high-mountain lake passes several waterfalls and offers access to other lakes and surrounding peaks. 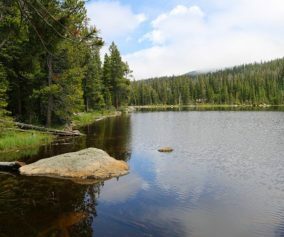 Because the Lions lake is more remote, a trip to it may require an overnight stay at one of RMNP’s backcountry camping sites. 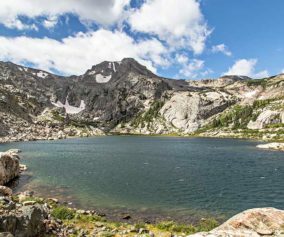 Explore the full Lion Lake #1 hike profile below for trail map, driving directions, and more tips and details to help you enjoy this adventure in Rocky Mountain National Park. 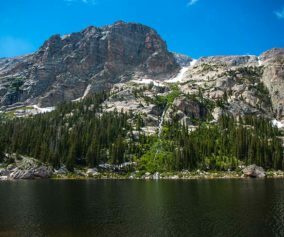 It’s seven miles one-way to Lion Lake #1, which requires that hikers get a very early start, or build this hike into a multi-day camping trip in Rocky Mountain National Park. If you are considering camping, there are several reservable backcountry camping spots in the Wild Basin area, and camping permits can be obtained through the RMNP Wilderness offices. 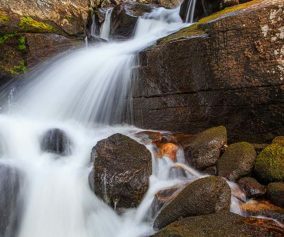 The trail begins at the Wild Basin Trailhead, and takes hikers through the central area of the Wild Basin, past three sets of cascade waterfalls, then up into the highest reaches of this lesser visited section of the National Park. The first waterfall, Copeland Falls, is just 0.4 mile into the hike. For details on accessing both the lower and upper leaps of Copeland Falls, be sure to explore our full trail profile for Copeland Falls. The trail then traces the path of North Saint Vrain Creek, until it encounters a junction. The trail to the right leads past a series of backcountry campsites mentioned above, and is a slightly more direct route to Lion Lake #1. However, the left-hand trail is not much longer and leads to two more waterfalls, Calypso Cascades and Ouzel Falls. The rest of this trail profile will explain this route. 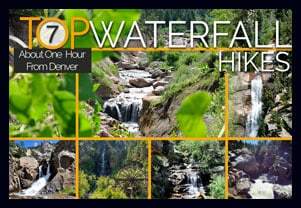 Having taken the left-hand trail, you’ll cross a large log bridge spanning North St. Vrain Creek. Pause when you hear the sounds of an unnamed cascade that can be viewed from the bridge area. Soon after the bridge, the trail will meet with a second trail junction at Calypso Cascades. Taking the right-hand trail, hikers will soon encounter the sight and spray of the cascades. 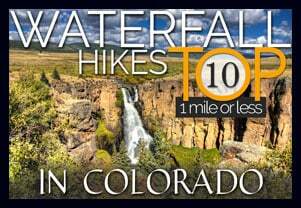 Then trail will cross over another bridge at 1.8 miles, then things begin to get more challenging, as the trail weaves through a set of switchbacks to Ouzel Falls at 2.7 miles. 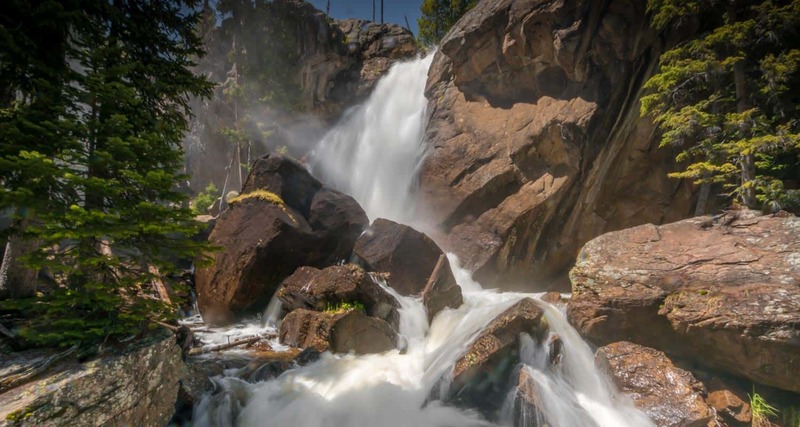 Ouzel Falls, while not large when compared to Alberta or Fern Falls, may be one of the most stunning waterfalls in Rocky Mountain National Park. 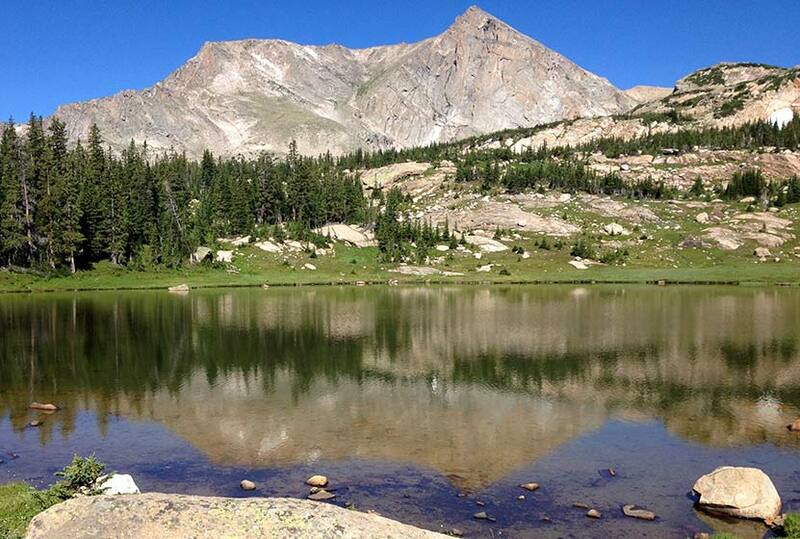 After Ouzel Falls, the trail comes to a junction with the Bluebird Lake trail at 3.1 miles. However, the way to the Lion Lake passes by this junction and keeps going straight/northwest. In approximately 1.5 mile from the Bluebird Trail junction, the trail makes a final split. The trail to the left leads up to Thunder Lake and Fan Falls. The right leads up to the Lion Lakes and is a hiker-only trail (no horses or pack animals beyond this point). Now you’re entering the very heart of Rocky Mountain National Park. The trail now becomes undulating, with spots of level ground, meadows, boulders, and marsh. 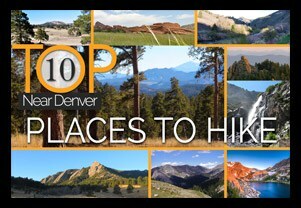 It’s the kind of diversity that characterizes the beautiful high-country of Colorado. On the approach to Lion Lake #1, Mt. Alice comes into view with it’s sheer rock wall and pyramid peak. Moving into the Lion Lakes area, beautiful meadows and marsh hold the delight of wildflowers, and the nuisance of mosquitos. Following a social trail from the shores of Lion Lake #1, hikers can push on to the Trio Falls and Lion Lake #2. Because this next segment is on unmaintained trails in a remote section of the park, hikers should possess both land navigation skills, map, and equipment. TIP: There are food storage lockers available at the Wild Basin, Finch Lake, and Sandbeach Lake Trailheads. These are required for visitors staying overnight. Make sure there is nothing that smells good to bears left in your car (that includes air fresheners). Camping: The Thunder Lake campsite and others along this route can be reserved through the Rocky Mountain National Park Wilderness Offices. Because this is an extensive hike in rugged country, it may be wise to make this expedition a part of a multi-day trip. Photo: We would like to express our gratitude to Shea Oliver for sharing such amazing photographs of this hike to Lion Lake in RMNP.